It may be difficult to recognize the moment when it arrives: the instant you realize that an aging loved one is exhibiting signs of dementia. But how do you know whether it really is something like the onset of Alzheimer’s or merely a condition with similar symptoms? And at what point does the conversation start about getting that person additional caregiving, provided by a family member or a Tuscaloosa Assisted Living center? The first symptoms of Alzheimer’s vary from person to person. Memory problems are typically one of the first signs of cognitive impairment. Obviously, with a disease like Alzheimer’s that gets progressively more severe with time, you want to get out ahead of the condition and make arrangements to get that senior the level of care that they need well before it potentially robs them of the ability to make decisions and function. Another option is moving the senior into Regency Retirement or other Tuscaloosa Assisted living facilities. Seniors coming to grips with their lack of self-reliance may react with defiance or paranoia when questioned about losing things or misplacing them in odd places, getting lost, etc. A difficult situation can be made even worse if he or she is acting under misguided notions of what to expect at a place like Regency, possibly after visiting a different family member who needed hospital-like around-the-clock care in a nursing home. A tour of our community is usually eye-opening in those instances. Seniors are usually very pleasantly surprised after taking a tour with a community consultant, enjoying a meal with us, and talking to current residents for a sense of what it is like to move into an apartment at Regency and take part in activities. Who doesn’t like hearing that they no longer have to fuss with cooking, cleaning, lawn care, and other chores? Plus, residents are encouraged to take outings and even have staff available to give them rides to appointments or group trips for fun things like visiting the Paul Bryant Museum, shopping, or grabbing a bit of dinner. This is a place where seniors can relax and enjoy their retirement while knowing that good days and friendships remain ahead of them. At Regency, we welcome entertainment from sources like the Church of the Highlands Youth Ministry, Sounds of Joy, youth ministry from Duncanville Methodist Church, George Winter Band, and others. Even if the senior doesn’t move right away, taking a tour can give them something to look forward to eventually. And if dementia is a future concern, we’ve got that covered. Regency Retirement Village: Tuscaloosa Assisted Living and a Lot More! Our Tuscaloosa community of seniors includes different levels of care and attention. The most basic is Tuscaloosa Short Term Senior Care, which can be a way to relieve family caregivers for a few days and let the senior get a sense of whether he or she might want to stay longer-term as a resident. We’re also a Tuscaloosa Independent Living Facility offering local seniors the best of both worlds: the comfort and privacy of private apartments combined with a lot of the amenities we provide to our Assisted Living residents. If a resident joins us as Independent Living or Assisted Living, then experiences deteriorating mental cognition because of the onset or progression of dementia, Regency Retirement Village conveniently offers a secure Tuscaloosa Memory Care Facility to add an additional layer of support and assistance. Those with dementia often have problems coping with new situations, so keeping a sense of familiarity (faces and places they already know) can bring comfort. 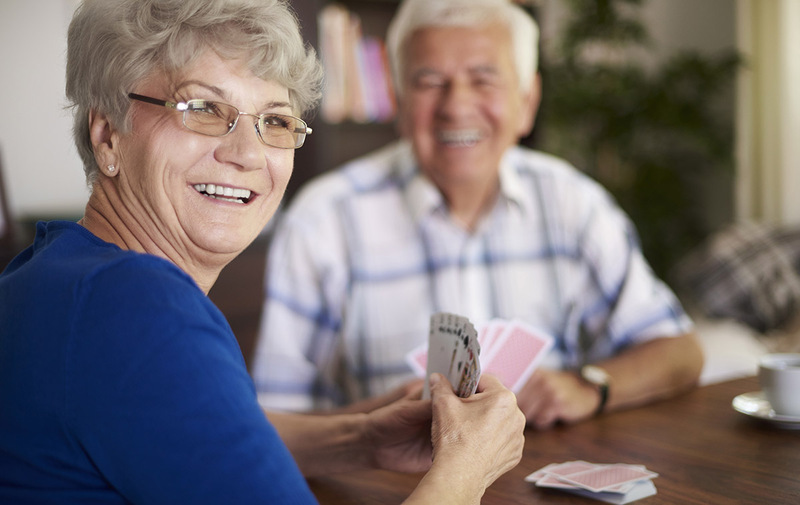 In Memory Care, we specifically work with seniors to stimulate their memories of positive things from their past. At Regency Retirement Village, we also offer a residential program for Veterans 55 and older called “Haven for Heroes” because those who’ve sacrificed for our country deserve to be honored. We’d love to meet you and show you everything Regency has to offer, including floor plans for various Tuscaloosa senior apartments. Call us at (205) 752-5500 or contact us through this website to set up a tour!